I am only useful When I am full, Yet I am always Full of holes. What am I? 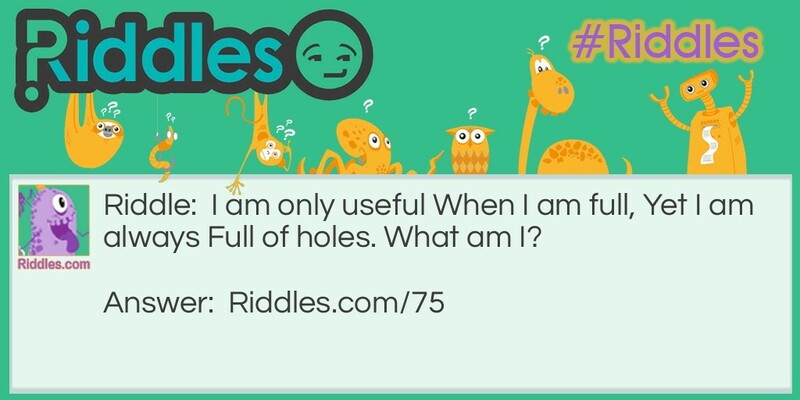 Full of Holes Riddle Riddle Meme with riddle and answer page link.